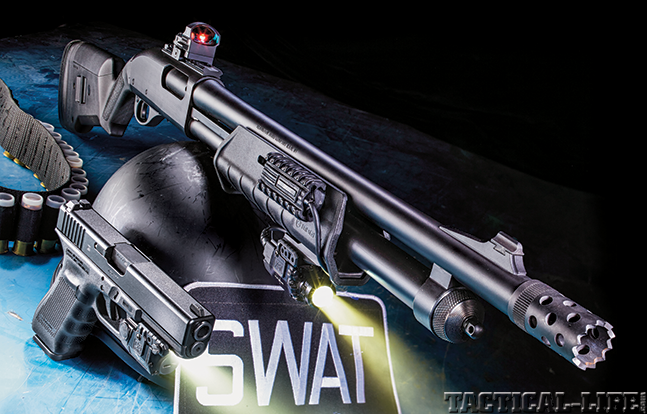 The Glock 22 Gen4 and Remington 870 Express Tactical Magpul are a dependable duo for law enforcement officers across America. Glock 22 Gen4 shown with Viridian C5, and the Remington 870 with Viridian X5L and Vortex Razor sight. 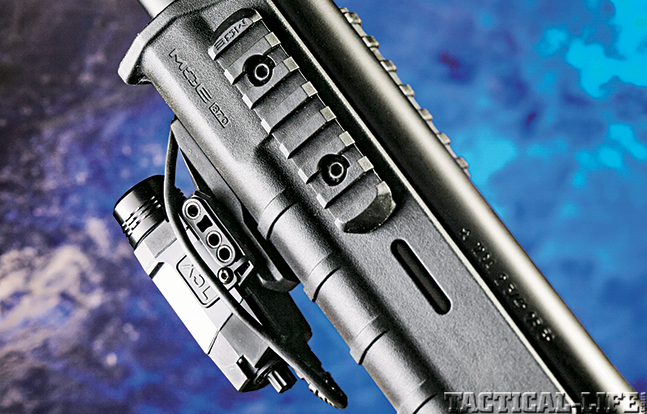 Remington’s 870 Express Tactical Magpul packs the power, versatility and speed LEO’s need. Note the white-dot front sight on the G22 Gen4 and the integral accessory rail molded into the dust cover of the frame. The Glock 22 Gen4 comes with interchangeable backstraps so you can configure the grip to fit your hand. 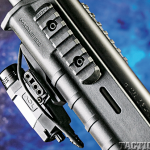 The 870’s slotted Magpul MOE forend accepts Picatinny rail sections for mounting tactical lights and lasers. This upgraded 870 features a built-in ghost ring sight as well as a top rail for mounting red dots like the Vortex Razor. 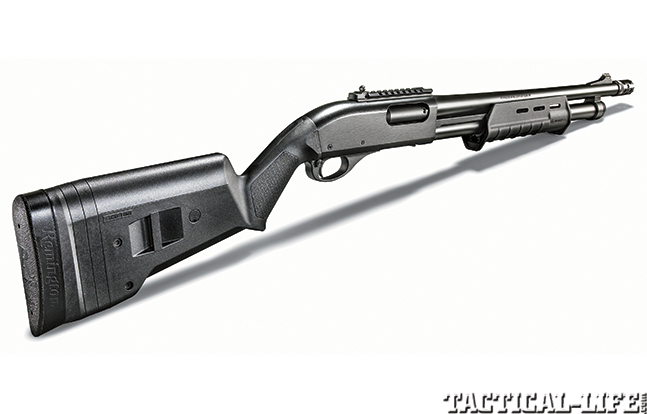 The 870 Express Tactical Magpul’s SGA stock is adjustable for both length of pull and comb height. 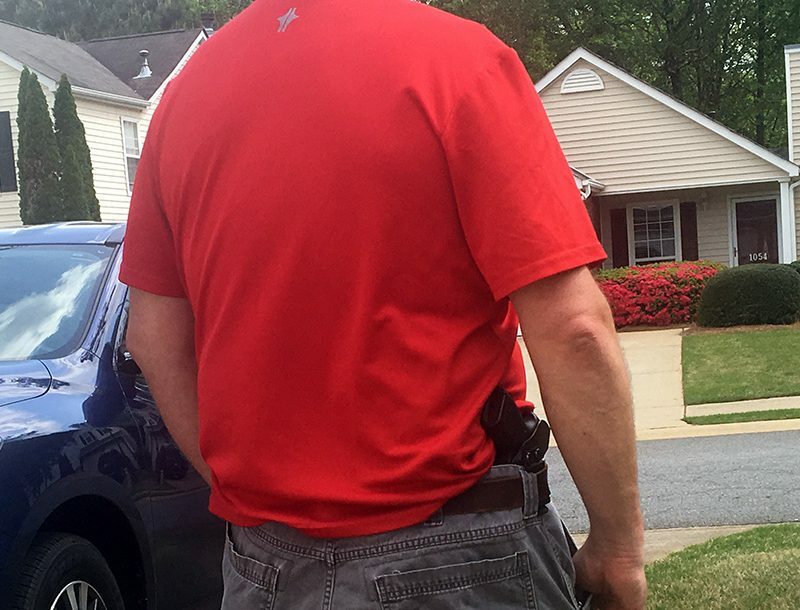 The right handgun/long-gun combination has been a hallmark of American law enforcement for the last 150 years or so. An early mating was comprised of the single-action sixgun with a lever-action carbine of the same caliber. The rifled long-gun was later augmented with or substituted for a double-barrel smoothbore, which was later replaced in popular usage by the slide-action shotgun. Single-action (SA) “thumb-busters” gave way to double-action (DA) revolvers that held sway in LE circles until the mid-1980s, when semi-automatic pistols began to supplant the wheelgun in the holsters of peace officers. Today the autoloading pistol is where the revolver was some 50 years ago, but lever guns have given way to AR patrol carbines, while in the field of scatterguns the old pump-action shotgun still has plenty of adherents, mostly due to its rugged reliability and ease of use. When I came on the job in the mid-’70s the “Police Special” ruled, particularly in large metropolitan agencies. 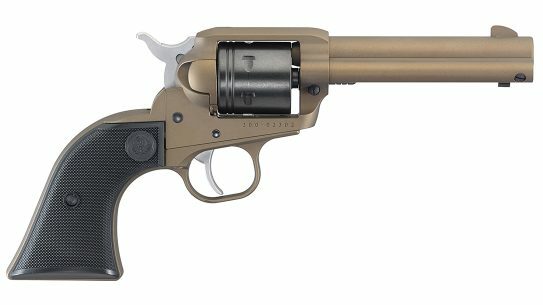 This title was usually given to the Smith & Wesson Military & Police Model 10 or the Colt Official Police, both six-shot revolvers chambered for the .38 Special. These handguns were simple to use, dependable, accurate and reasonably effective with proper shot placement. 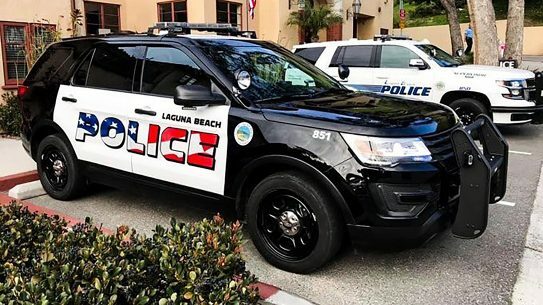 But America was in a time of change in the ’70s; violent crime seemed to be on the rise, and LE officers appeared to be on the losing end of the arms race with criminals. 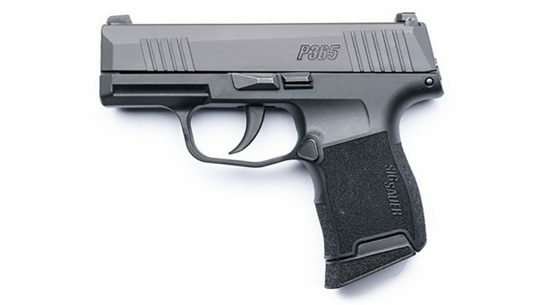 In 1985, the U.S. military embraced the autoloading 9mm pistol; this started an avalanche in the LE community as cops traded in their six-shooters for high-capacity “wonder nines.” Bullet technology was still undergoing a metamorphosis, and the 9mm was found wanting. Jacketed hollow points (JHPs) in the 115-grain range were replaced by heavier, subsonic, 147-grain JHP loads, and then the FBI switched to a down-loaded 10mm that shortly gave rise to the .40 caliber. The .40 had a shorter overall length, allowing it to be chambered in medium-framed pistols, unlike the longer 10mm. 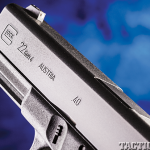 As the autoloaders took hold, an Austrian arms-maker named Glock began marketing the Glock 17 pistol in 9mm. 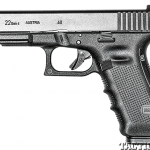 A few years later, it became the platform for the .40-caliber Glock 22, which has become one of the most popular LE sidearms in the United States. Pump-action shotguns took over from the double gun primarily due to ammunition capacity, and they were more reliable than autoloading shotguns of the era, mostly due to their paper shotgun shells. Remington introduced its first pump shotgun in 1908 and progressed on to various improved models until 1950, when it rolled out the Model 870 Wingmaster. 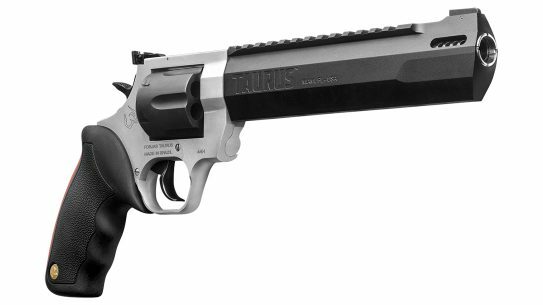 This new design featured a breechblock that locked into a hardened barrel extension, plus it had a new locking block and twin action bars for smooth, effective operation. 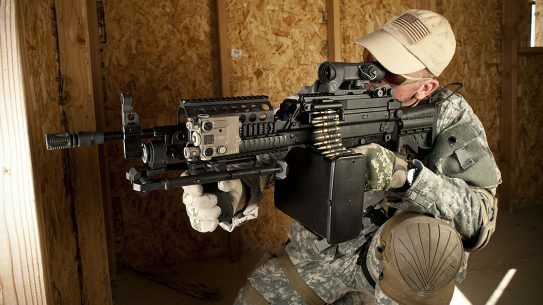 It had side ejection, a bottom loading gate, a five-shot capacity and an easy takedown process for cleaning and barrel interchangeability. From day one, Remington vied for the LE market and had a 12-gauge Model 870R “riot gun” with a short 20-inch barrel. This no-frills, utilitarian smoothbore, with an open choke and a bead front sight, caught on with LE agencies and individual officers all over the U.S. and the world. 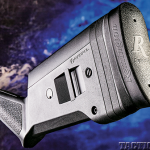 In 1995, Remington began to offer the 870 with a synthetic stock, and soon ghost-ring sights and other tactical options began to appear in its catalog. By 1996, some 7 million Remington Model 870s had been produced, making it the most popular slide-action shotgun in history. 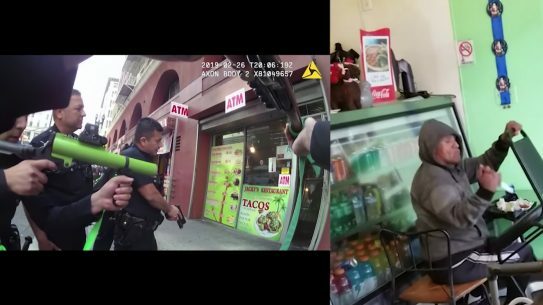 Given my 37-plus year LE background, I was tasked with selecting and evaluating what I believed to be the two most prevalent firearms used by police agencies today. It didn’t take me long to select the Glock 22 Gen4 and the Remington 870 Express Tactical Magpul. 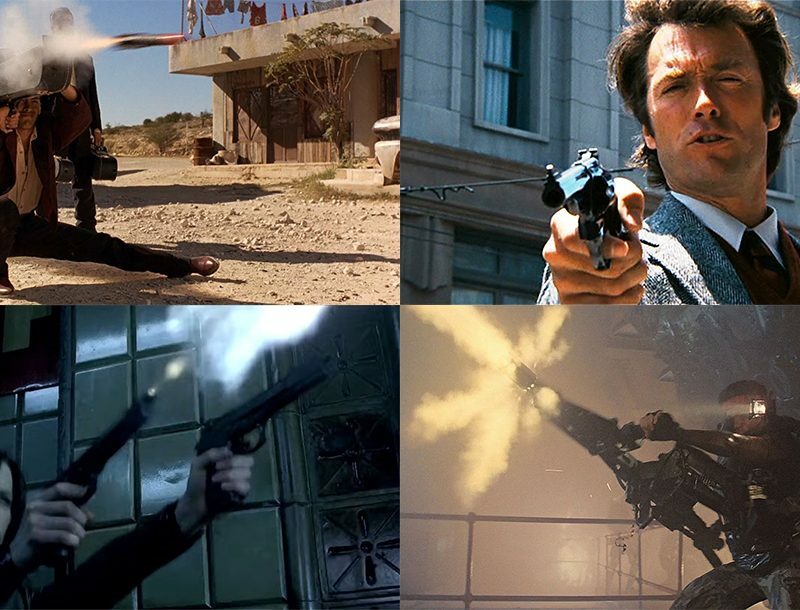 Both of these firearms are the latest evolutions in their series, and they’re state of the art for LE use in 2014. 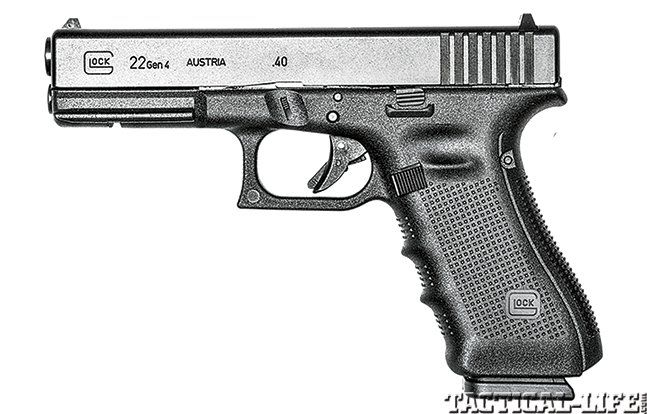 The .40-caliber Glock 22 was introduced in 1990. 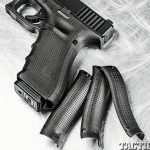 Unlike a number of contemporary .40s that had 10-round magazines, the G22 boasted a 15+1 capacity, and for a service-sized pistol with a 4.48-inch barrel and an overall length of 7.95 inches, it had an unloaded weight of 25.59 ounces—due in large part to its polymer frame and integral grips. Trust me, when you’ve been wearing a duty belt as long as I have, any weight reduction is a blessing. As cops transitioned from DA revolvers, a lot of administrators felt that having an autoloader that was simple to operate and shoot, like the older wheelguns, was a good idea. 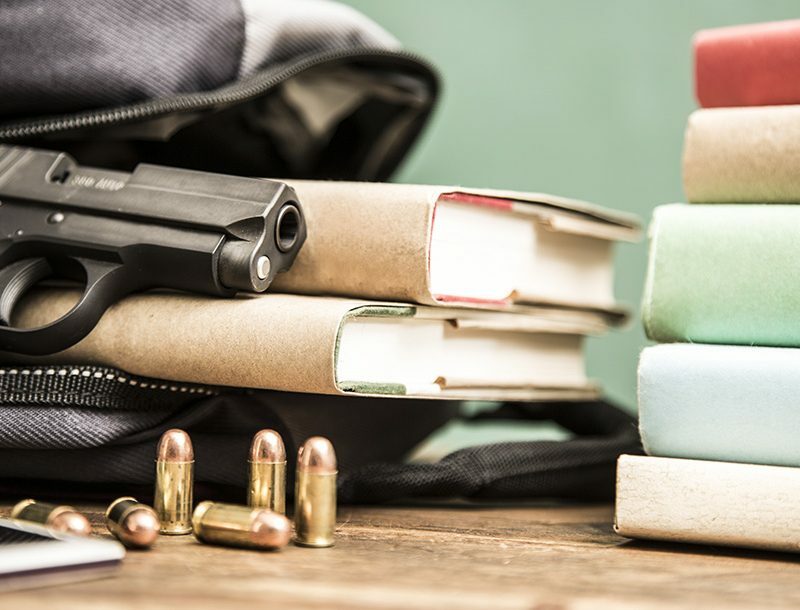 The Glock Safe Action is, in simple terms, a striker-fired mechanism where you pull the trigger and it shoots—there’s no safety to manipulate, no hammer drop to remember when the shooting is done. 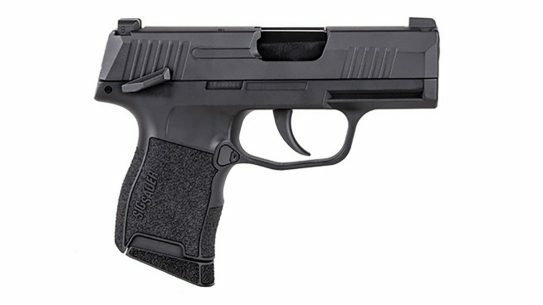 Passive internal safeties keep it from firing unless the trigger is intentionally pulled, and different trigger pull weights are available; 5.5 pounds is standard. 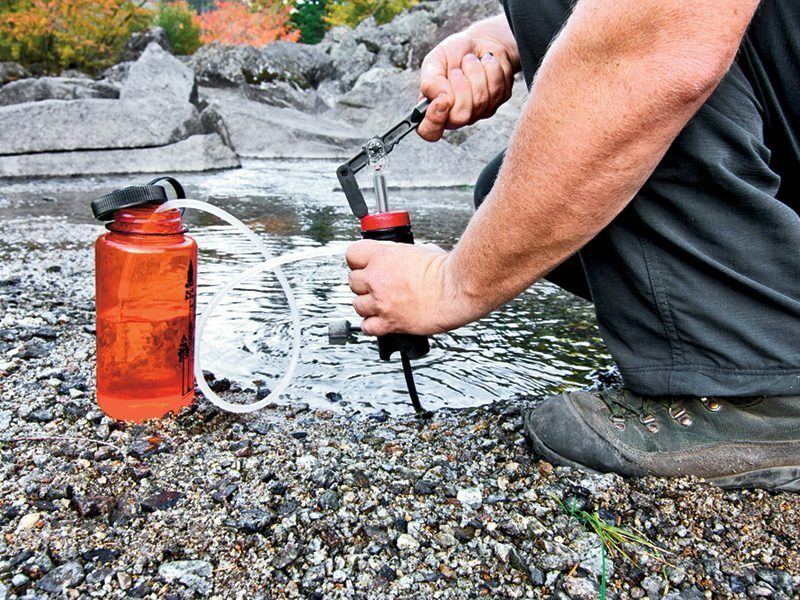 Another feature is the barrel’s hexagonal rifling, which does not have conventionally cut lands and grooves. 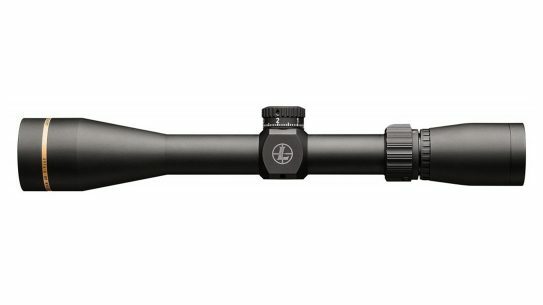 The rifling has a right-hand, 1-in-9.84-inch twist and provides a better bullet seal in the barrel, which increases velocity and potential accuracy. 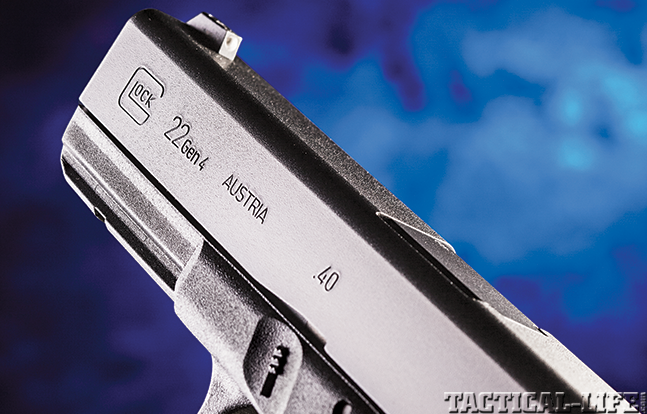 The G22’s sights are fixed, with a white-dot front sight and a white-outlined rear notch. Night sights are available, and I’d take them, as they are in a three-dot configuration and made of steel. My test gun, as its name implies, is a fourth-generation G22. The Gen2 came along in 1988, and the most obvious features were checkering and memory grooves on the frontstrap of the grip frame, plus serrations on the backstrap. In the late ’90s, the Gen3 came along, which added small thumb rests, an accessory rail and a loaded-chamber indicator. The Gen4 (circa 2010) evolution added interchangeable backstraps for better individual ergonomics. They come in small, medium and large sizes to accommodate different hand sizes, and the “checkering” on the front, back and sides of the grip consists of tiny, raised squares that provide a remarkably firm grip surface. Another exterior feature is the magazine catch, which has been enlarged for easier purchase and is reversible for left-handers. Internally, the G22 Gen4 now has a dual recoil spring assembly. This spring-within-a-spring setup better absorbs the shock of firing and recoil, thus providing a longer service life for the pistol. 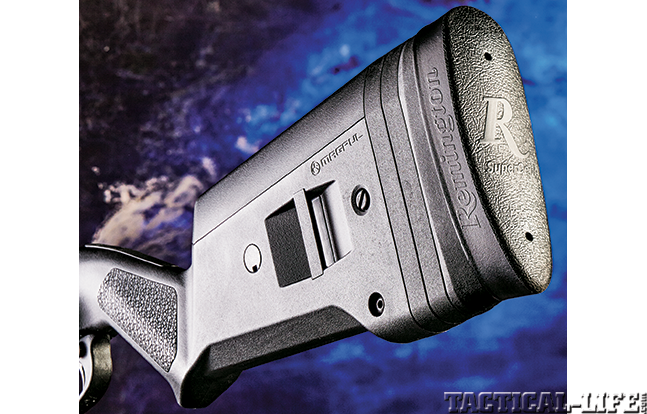 One of the newest Model 870 LE variations from Remington is the Express Tactical Magpul. 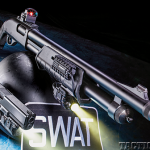 This shotgun is all business with its non-reflective, “blasted” black oxide finish and black synthetic stock and forend. 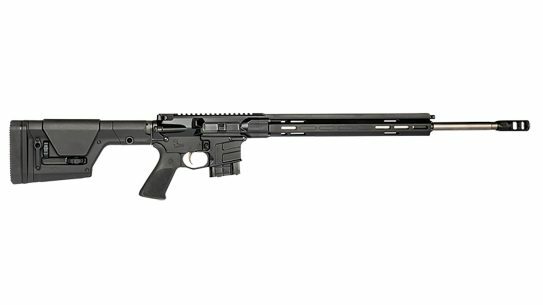 It has a short 18.5-inch barrel for better maneuverability, which is capped by an extended and ported Tactical Rem Choke. The factory-extended, tubular magazine holds seven rounds of 2¾-inch, 12-gauge shells. Up by the muzzle is a ramped front sight; the back of the blade has a white dot, and it’s dovetailed into the ramp. The upward slope of the ramp facing the shooter is serrated to reduce glare. 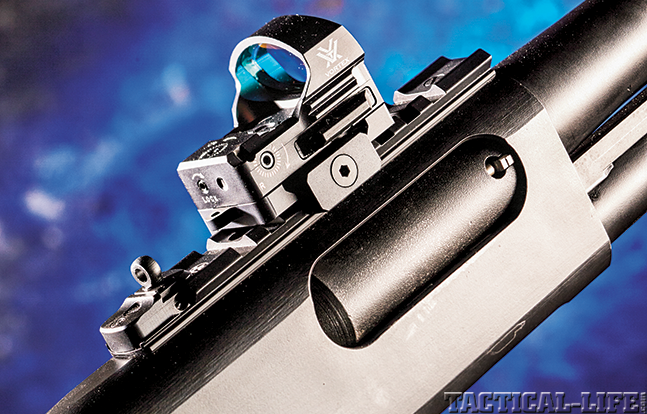 The receiver is drilled and tapped, and the Express Tactical Magpul is equipped with an XS Sight Systems accessory rail with an XS Ghost Ring peep sight that is adjustable for windage and elevation. The sight is small and unobtrusive, a feature I for one happen to like. 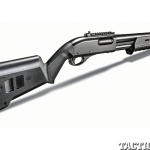 My 870 variation comes from the factory with Magpul components, including a reinforced-polymer SGA buttstock that is spacer-adjustable for length of pull (from 12.5 to 14.5 inches). The stock comes with two cheek raisers to adjust the comb height as well as a Remington recoil-absorbing SuperCell buttpad, integral 1.25-inch sling loops and enhanced grip ergonomics. The Magpul MOE forend, also made of reinforced polymer, is longer for improved pump manipulation, but it will not overlap the receiver or hinder sidesaddle shell carrier compatibility. Slots in the sides of the forend allow for the use of MOE accessories, such as MVG rail sections, which I added to my test sample. A tactical light I use on the job worked well on the left-side rail. 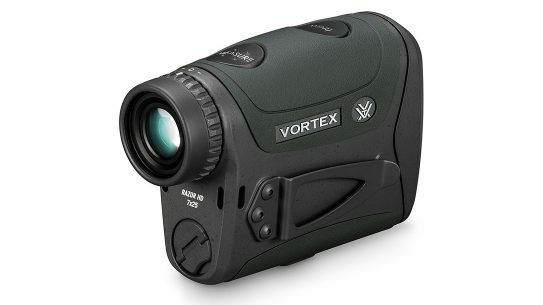 Another useful item is the rail-mounted LaserMax Uni-Max green laser unit. This little baby weighs 1 ounce, its integral claw mount clamps right onto a Picatinny rail, and with the flick of a switch you get a pulsating green 5-milliwatt laser that’s very visible in all lighting conditions. It runs on two CR1/3N lithium batteries, and battery life with full-time use is over an hour. It’s fully adjustable for point of aim (POA), plus it has a built-in rail in case you want to hang a small tactical light beneath it. My first test protocol was to do some velocity measurements from the G22 Gen4. The biggest surprise was the Liberty load, which had a velocity about 130 fps faster out of the G22 than the factory specs. I can only assume that the hexagonal rifling in the barrel really does help to increase velocity! 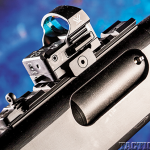 I tested the Remington 870’s accuracy by firing slugs in five-shot groups at large 18-by-12-inch target centers normally used for B-27-type competition target at 25 yards. My goal was to see if they would stay inside the target at this distance and how close they’d be to the POA. The Remington Premier Copper Solid slug managed to keep all five shots on target but showed signs of tipping and keyholing. Two rounds that hit squarely were in the 10/X-ring with a center point of aim. Four of five Rio Royal slugs stayed in the 9/10 rings; all stayed in the black and were close to POA. The PDX1 shot best POA-wise, and four of five were 10/X-ring hits. Seven of the 15 buckshot pellets in the shells were also in the target center area. I fired the three 00 buckshot loads at the same type of target from 15 yards, using a center POA. The Rio and Winchester loads stayed in the target, while two pellets of the Remington load went slightly to the right. 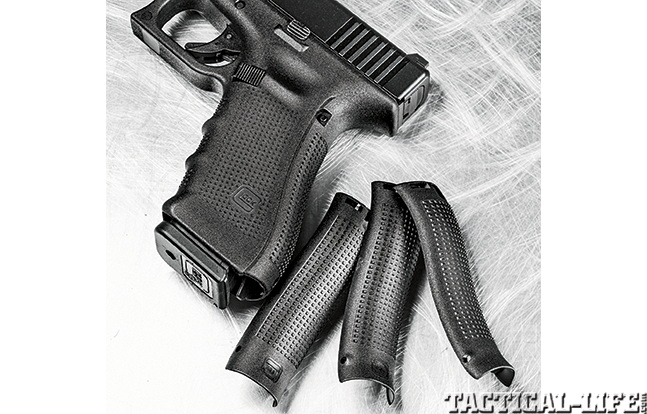 For a practical shooting test with the G22, I buckled on a duty-type belt/holster rig and placed a competition silhouette target at the 15-yard line. I loaded up my magazines with six rounds each of a mix of the .40 test cartridges. 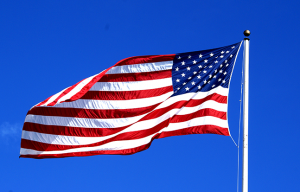 Backing off 3 yards, I drew and engaged the target with six shots from 3 yards, shooting point-shoulder with the strong hand only, did a combat magazine change, then fired six more shots support-hand only and again reloaded. Then, moving to 7 yards, I drew the pistol, used an isosceles hold and the sights to fire two shots, then two more shots from high-ready and two more with another magazine change (after having replenished my empty magazines). Next, at 7 yards I completed a body armor drill—I drew and fired two shots center-mass and one to the head. I repeated this from high-ready, then reloaded. Lastly, at 15 yards I used the barricade and, stepping to cover, fired two shots while standing from the left side, two while standing from the right side and then two from the right side after kneeling. Using the scoring rings and counting the two headshots as 10 points each, I scored a 290/300 with 10 X’s. Both the Glock 22 Gen4 and the Remington 870 Express Tactical Magpul worked flawlessly, with no malfunctions or hiccups of any kind. 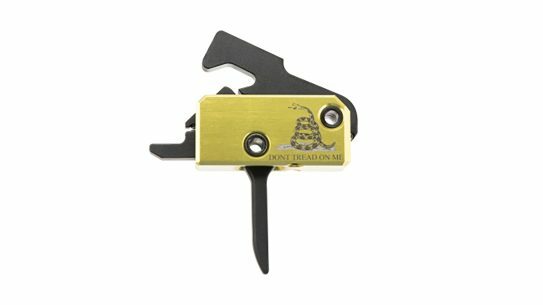 They are rugged, dependable, easy to use and maintain, and the quality of workmanship on both weapons goes without saying. 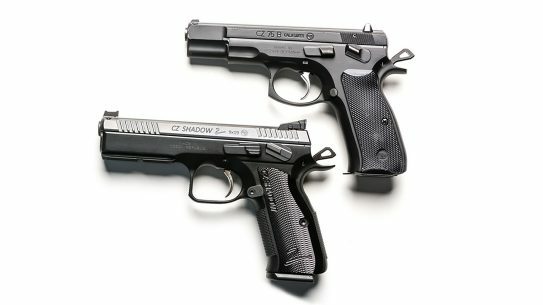 I really believe that for law enforcement, security applications or even military use, you could not find a better matchup than these two fine firearms. 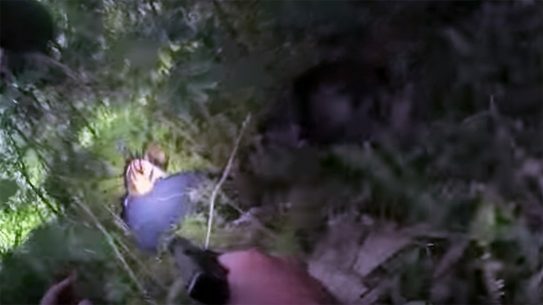 The Glock pistols suitable for LE use most certainly deserve the moniker “Police Special,” and Remington is the hands-down favorite of cops in the U.S. and the world over.